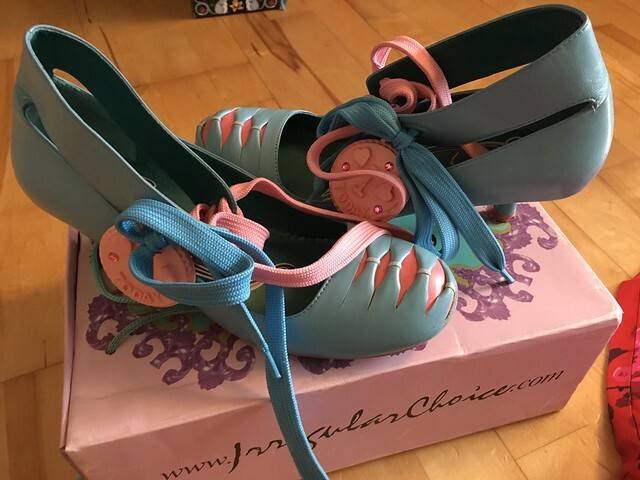 t*rexes and tiaras: Sunday Shoes 131..
A new-to-me old style of Irregular Choice to share with you today. These, as far as I can tell, are a style called One Today. 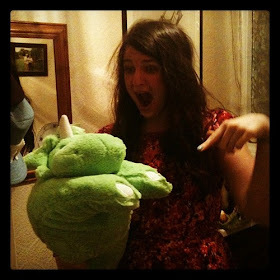 In their traditional pink and green box (I have far more of these boxes than of any other style - I think that Gemma did a really great round up of all of the different styles of IC boxes over the years, although I can't find it at the moment - will update when I do). I cleared out a lot of my shoeboxes when I put the shelves into the wardrobe room last year, as it's easier to store them directly onto shelves, but there's space on the top for two rows of stacked boxes on the top of the shelves and for four boxes high on top of the wardrobes, so I've made sure to keep a selection of the designs and use them to store other shoes, or handbags in. These have a small kitten heel, which sort of reminds me of a little peg. Although I definitely wouldn't say that kitten heels were my favourite, I have amassed rather a lot of them over time, as IC seemed to favour them at one point. They also have a super cute ankle strap, which is quite wide. 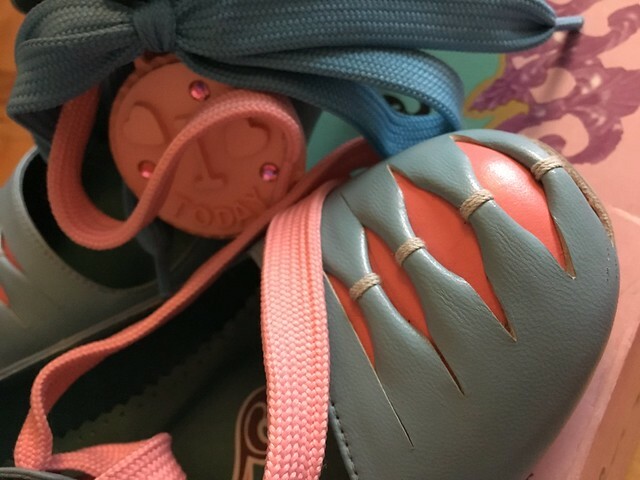 The main detail on the front of the shoe is the kind of gathered bow effect of the blue uppers with the pink peeking through underneath. 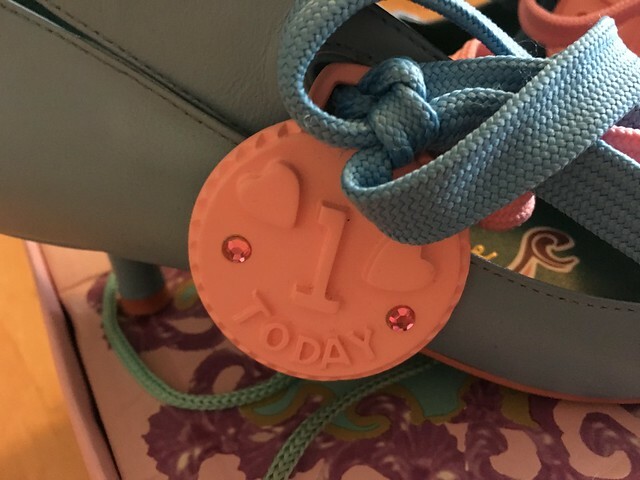 There's a pink charm on each shoe, attached onto the laces with the words 1 Today - the kind of thing you'd expect to see on a cupcake or a birthday card, I guess and the effect is finished off with two long sets of laces in blue and pink. 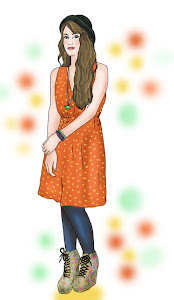 Cute pastel colours; kind of simple at first glance, but actually there are quite a number of subtle details in there.